Today is the Feast Day of Saint Gabriel Possenti, the patron Saint of handgunners. Now, as a Baptist, I admit I don’t normally observe such days, or formal sainthood, for that matter. But I was introduced to St. Gabriel Possenti by David over at Musings Over a Pint. 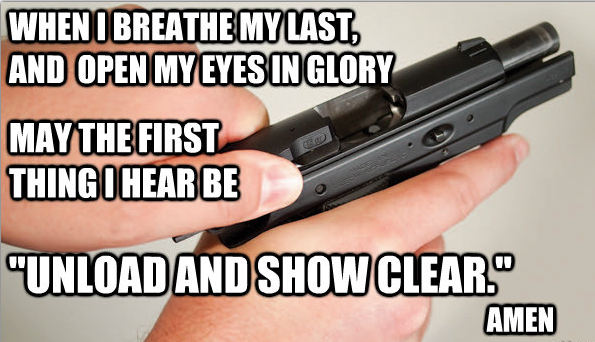 It was he, you may remember, who took a part of a post of mine and turned it into the Shooter’s Prayer that I have on the sidebar. 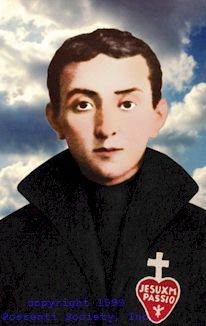 Take a moment today to click through to the St. Gabriel Possenti Shooters website, and explore the interesting story of this man of God. There you will see why he is our patron saint. And take a moment today, as every day, to thank God for the freedom we have to protect ourselves, for His continued protection, and for the grace to deal with those who oppose both. Love the graphics the prayer has inspired! We just got back from the range celebrating the feast day. Now we’re raising a toast with some good beers, and steaks on the grill.